Chanel wants to compare its brand to Louis Vuitton in order to understand how people perceive the two brands and how they feel about each brand’s personality. 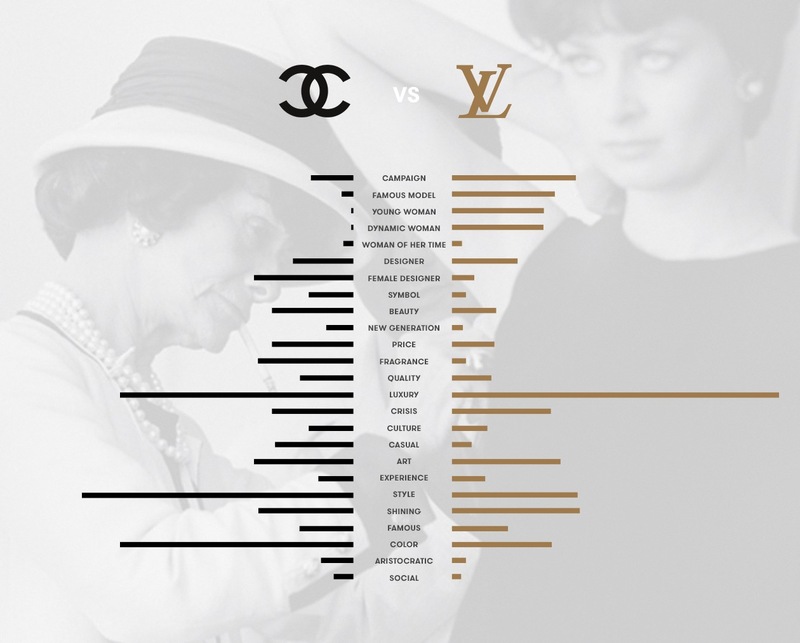 We compared Chanel to Louis Vuitton using a large corpus of blogposts from fashion blogs. We applied natural language processing in order to recognize words, phrases and terms that people use when they refer to the two luxury brands. We call them aspects or parameters of the discussion. Louis Vuitton is associated to the young, dynamic woman, and to the woman of her time. Chanel on the other hand is associated to style, color, beauty and fragrance.